Firebirds Wood Fire Grill Makes a Great Addition to Restaurant Week! 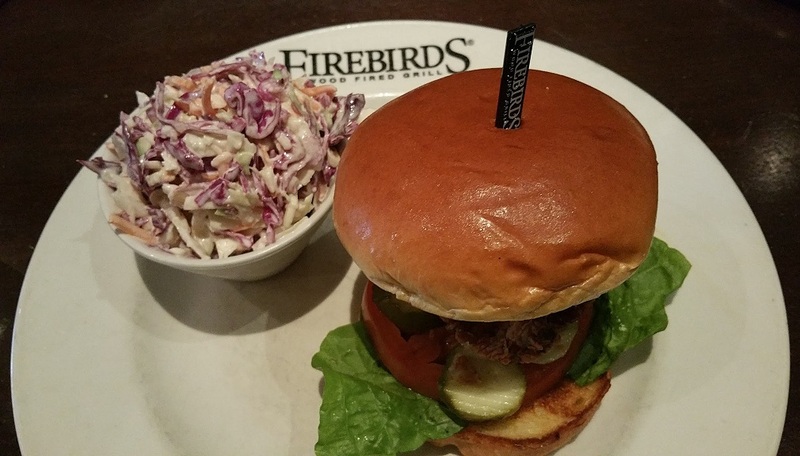 An Energetic Atmosphere and Delicious Food Make Firebirds a Great Spot for Lunch or Dinner! For our first #WRW2017 foray into the suburbs I headed over to Firebirds Wood Fired Grill in Hoover. Amber had to work, so I was flying solo on this one. It has been a long time since I've been to Firebirds and after a great lunch experience I wondered why I didn't come here more often. As I walked in I noticed that they were bustling with a lunch crowd, but this didn't affect my service in the least. 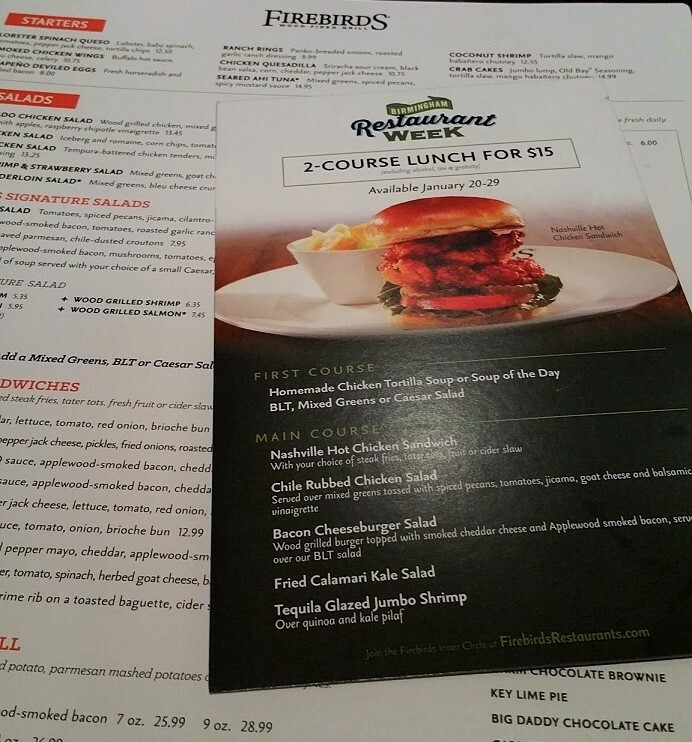 Lauren, my server, greeted me and went over the Winter Restaurant Week lunch offerings which included a variety of options for their $15 two course lunch menu. You have the choice of Soup (2 options) or Salad (3 options) as your appetizer. I went with the Homemade Chicken Tortilla Soup and was very pleased! 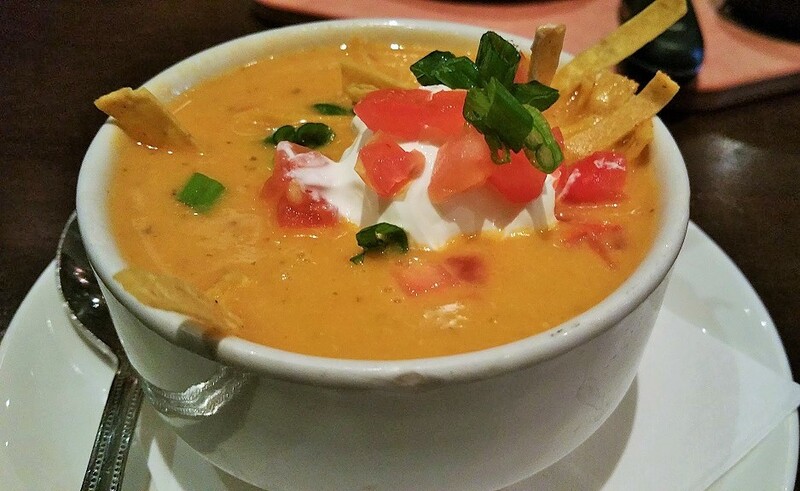 The Tortilla Soup is served in a cup and is topped with crunchy tortilla strips, diced tomatoes, and sour cream! It had a great flavor and isn't overly spicy. I sent a photo to Amber who immediately showed it off to her co-workers. Yep, they were jealous! 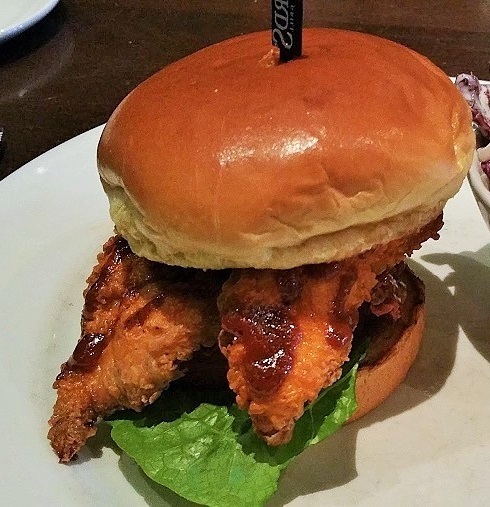 They have some unique entrée items (5 to be exact), but the Nashville Chicken Sandwich was calling out to me. I'm a sucker for hot chicken! The sandwich came with the option of steak fries, fruit, tatter tots, or cider slaw. I opted for the slaw. The first thing I notice was how HUGE the portion of Cider Slaw is! It ended up balancing out the hot chicken perfectly! 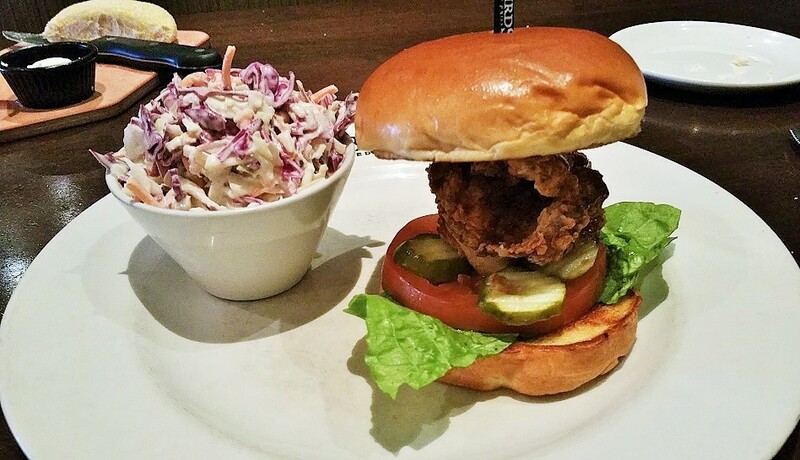 The Chicken Sandwich itself is topped with lettuce, tomato, and pickles on a brioche bun! The chicken was generously seasoned and drizzled with a sweet sauce. I requested a side of ranch as well to balance out the spice. It was spicy and delicious! 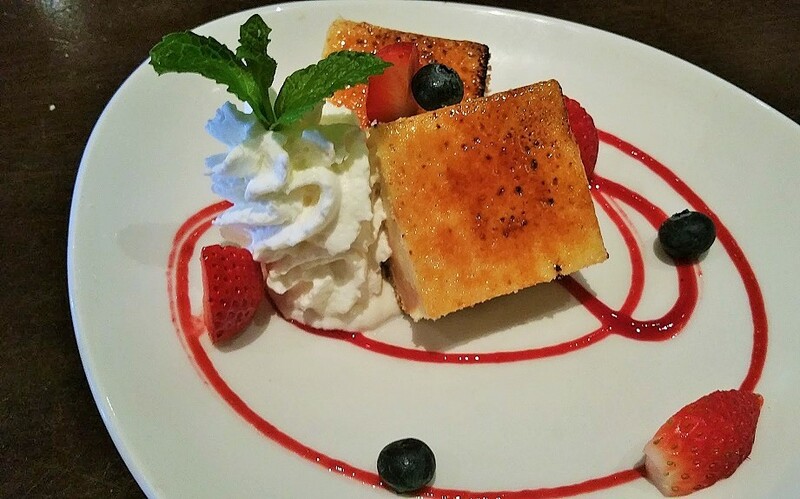 While dessert isn't included in the WRW Lunch menu I was lucky enough to get to try the Créme Brulée Cheesecake Squares that appear on the dinner menu! The normal cheesecake comes by the slice, but the #WRW2017 version is served as two squares and plated with fruit and drizzled with fruit syrup! 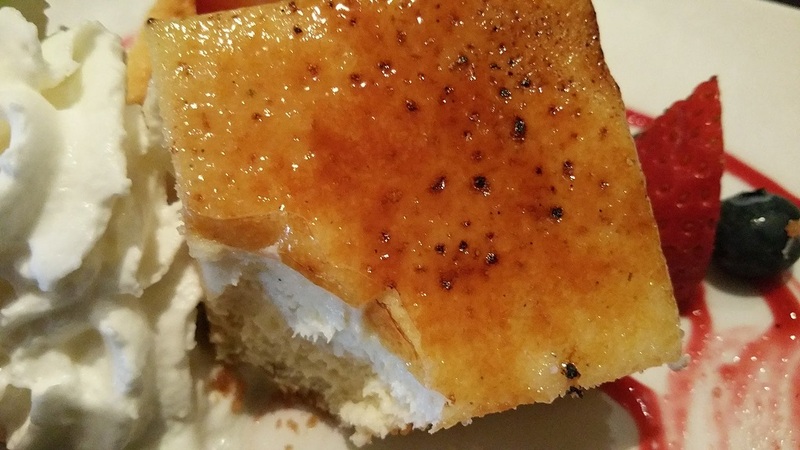 The top layer had the perfect crunchy brulée crust! This may be something to keep in mind when deciding between Firebirds's lunch or dinner during Restaurant Week. I had a great dining experience! The staff was attentive and Lauren even brought me a side plate of lemon slices for my water refills without me having to request it. Be sure to check out their dinner menu. Firebirds is a great Restaurant Week option for everyone, but especially those who live or work "Over the Mountain" and are looking for options that are nearby.